We'll get this out of the way. I was a huge fan of this show as a kid. If there was one Nicktoon I made sure to watch every day, it was Rocko's Modern Life. I liked the jokes, the weird humor, the characters, and the absurd storylines in each episode. Naturally, when I hear that the show is coming back to Nickelodeon for a one-hour movie special, I can't help but feel like I'm falling prey to the channel's most alluring nostalgia grab imaginable. This is definitely more exciting than seeing Doug Funnie have a midlife crisis. But not so, says the show's creator Joe Murray. This film exists for more reasons than just nostalgia. 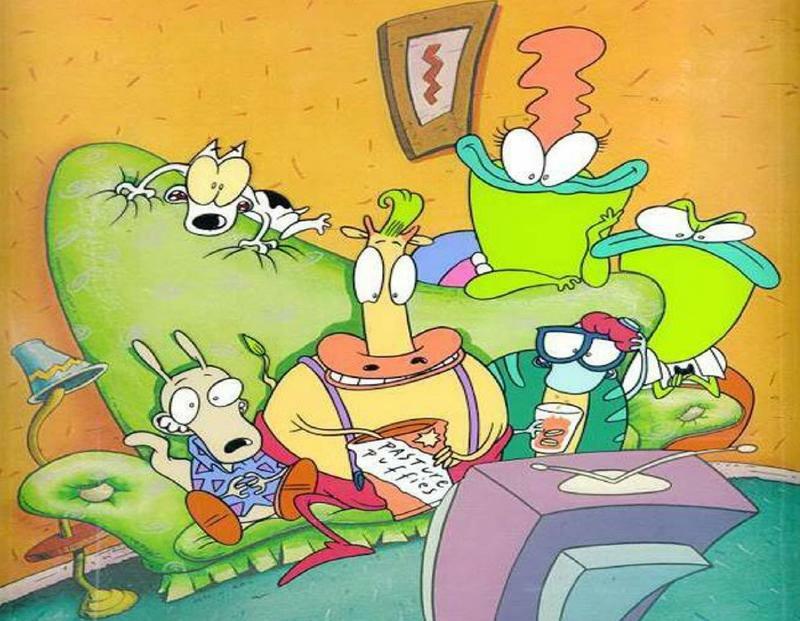 While I never picked up on it as a kid, the subtle satire of Rocko's Modern Life is a beautiful thing, pointing out and laughing at the mundanity of boring suburban life in the 90s. In an interview with Polygon, Murray says that he intends to aim that social commentary back at the generation he spoke to when they were kids. Only now, he's calling them out for their obsession with social media and technology. If we're going to bring this back, I have a vision and a direction of how I want this to go. To Nickelodeon's credit, they said 'yeah.' I actually brought a lot of the old stuff back so there's plenty of nostalgia, but I feel like it says something about how we are right now socially. It really resonates with this trend we're seeing. The film's name is Rocko's Modern Life: Static Cling, and it stars the famous titular wallaby in a world that is overrun with social media. His friend Filburt and Heffer have become obsessed with their online personas, but Rocko shies away from it, trying hard to live out his simple suburban life as he used to enjoy it. He clings to nostalgia and the things he loved before because they are a "warm safety blanket" to him in the expanding new world. Rocko looks at technology as a necessary evolution, but he's also very aware of the downfalls that come with technology. He knows that we're slaves to it. We're making big statements about technology. People are going to hear it and they're going to think about it. It's satire — and it's the power of satire. Satire is that circus mirror that takes the truth and makes it palpable. That's all we've ever tried to do with Rocko's Modern Life. Rocko's Modern Life: Static Cling will air on Nickelodeon in 2018.